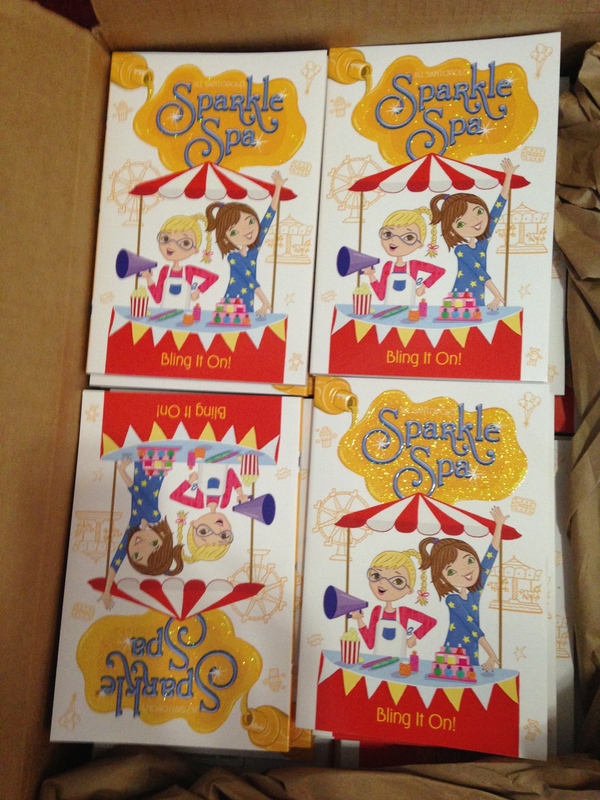 A jacket for Sparkle Spa #8! If you happen to be in Manhattan this Saturday, November 28, 2015, and you’re looking for autographed books, it’ll be easy to get some! I’ll be signing books at the Bank Street Book Store from 2-3 pm with Karin Lefranc and Robin Newman. And tons of other authors will be signing before and after us. You can check at the schedule at the Bank Street Book Store website right over here. Hope to see you there! 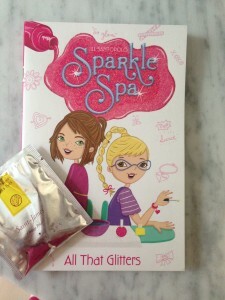 Four Sparkle Spa Books in One! Sparkle Spa in France: A Book Cover! Ooh la la! 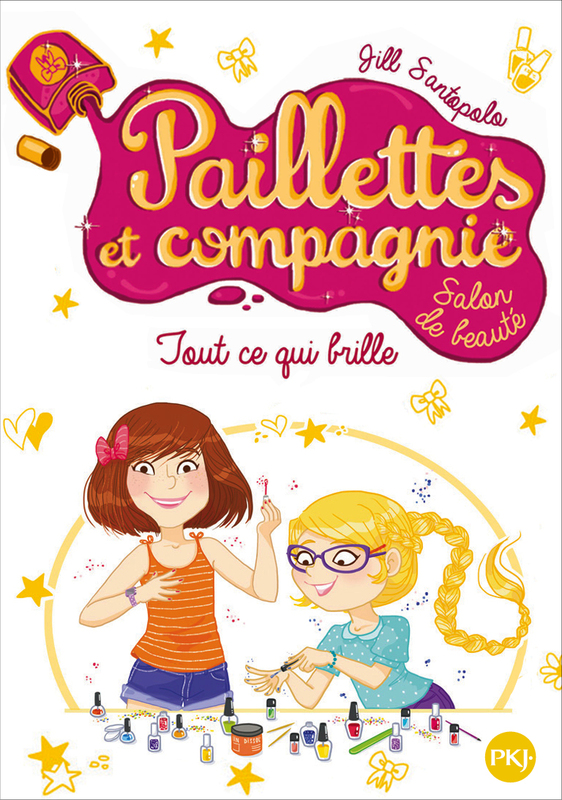 This is what the first Sparkle Spa book will look like in France! (Aly and Brooke look kind of different, but I can totally tell it’s them.) Can’t wait to see the rest of the book cover designs! BLING IT ON! author copies! 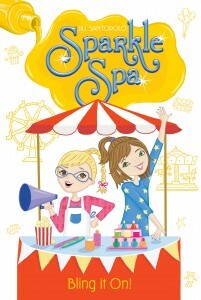 Today Sparkle Spa #7: Bling It On! is available in bookstores and online retailers everywhere (basically, wherever books are sold). 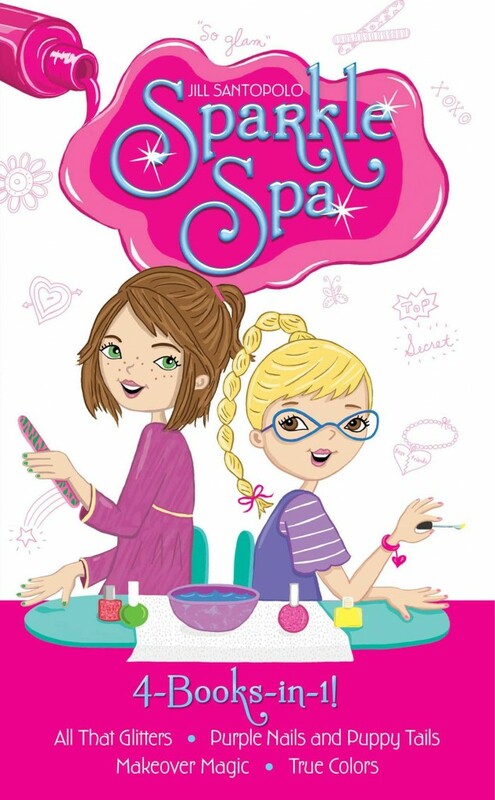 In this book there’s a carnival, there’s a competition, there’s a group of kids giving back to their community, and–as always–there’s some pretty awesome nail polishing. Are you ready to bling on some sparkle? 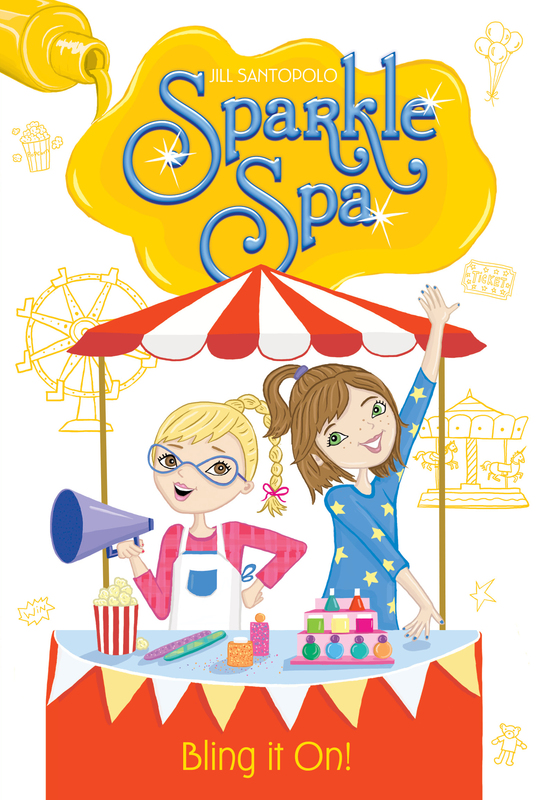 It’s Your World, The Wild Ones, and the Sparkle Spa in Pennsylvania! I don’t usually talk much on this site about my other job as an editor, but I’m going to talk about it very briefly in this post, because I just got an exciting picture from Alex London, whose book, The Wild Ones, I edited. 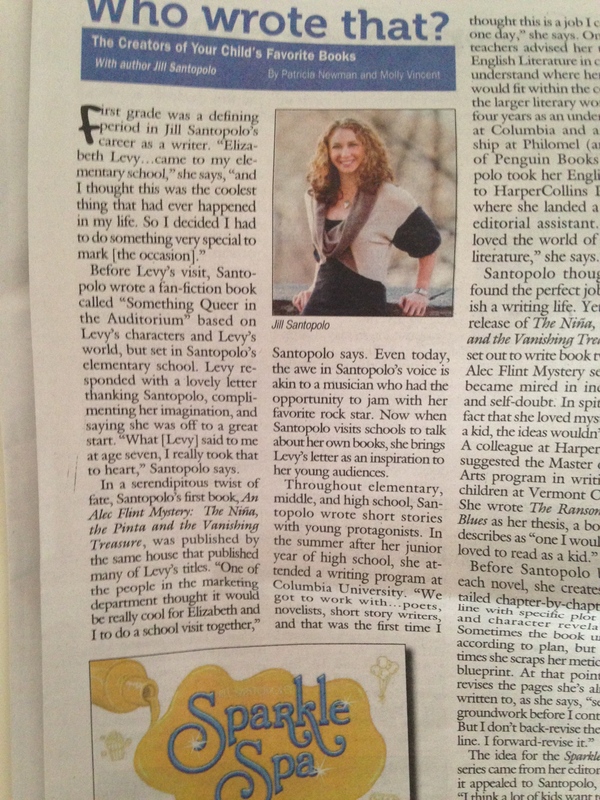 (It’s a great book, by the way, especially for 3rd-6th graders who love action and adventure.) 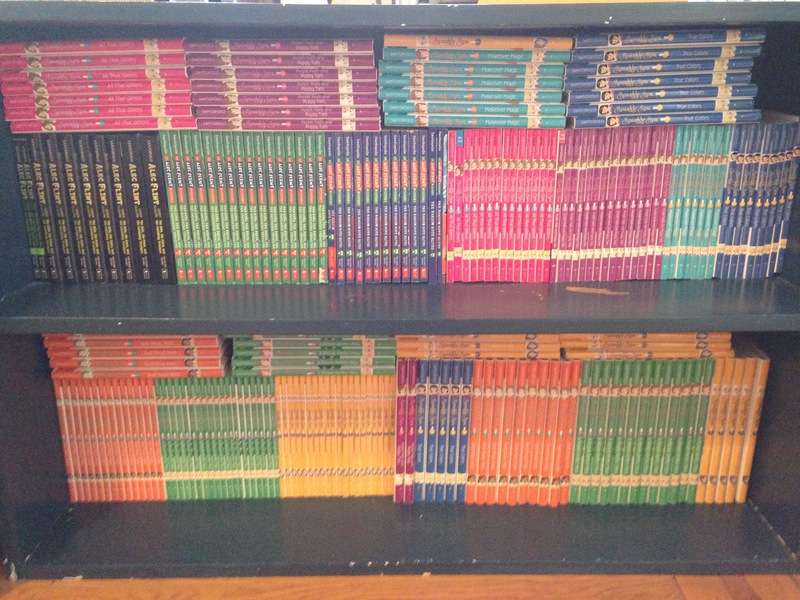 While he was in Pennsylvania, at Children’s Book World, he took this photograph. It’s the Sparkle Spa books on display next to his book, and next to a second book I edited, It’s Your World, by Chelsea Clinton. (Another great book–this one’s perfect for 4th-8th graders who love non-fiction and want to make a difference in the world.) 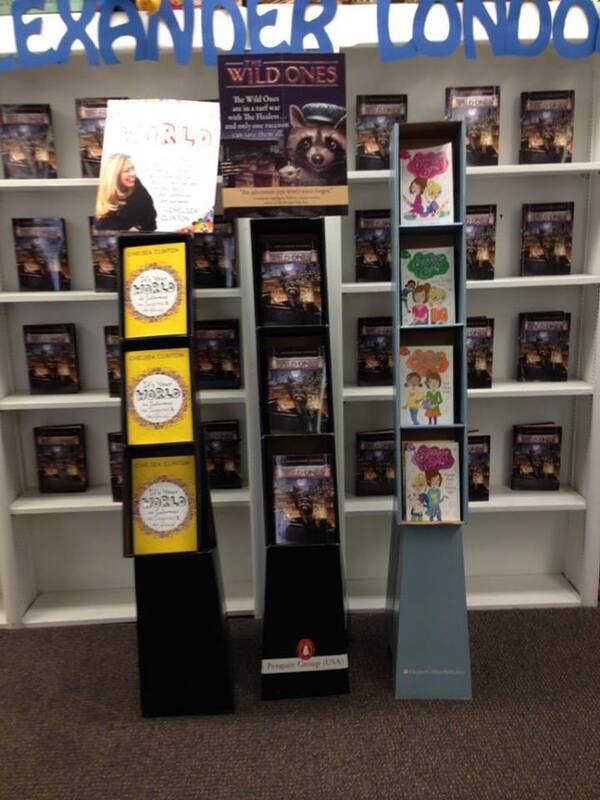 Because it shows books I wrote next to books I edited, it’s one of my favorite bookstore pictures ever. Check it out! 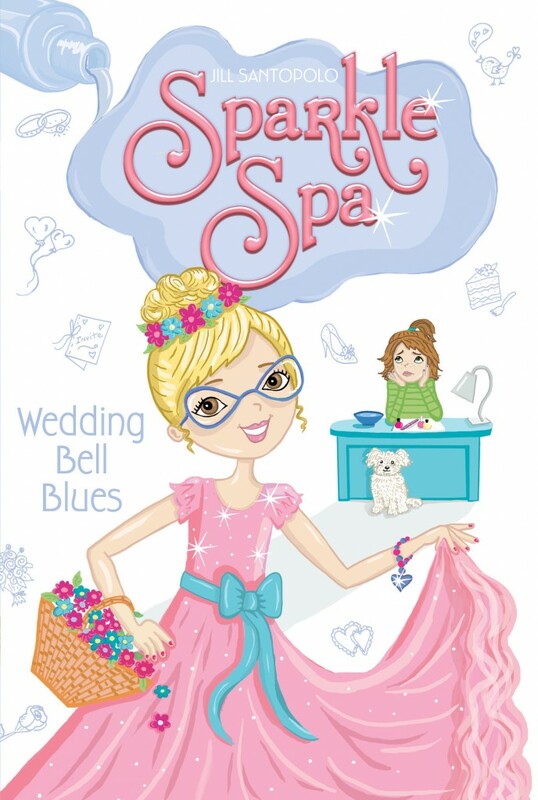 A cover for BLING IT ON! 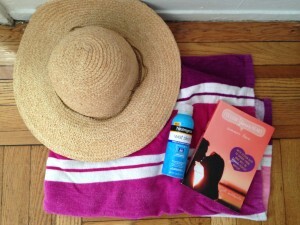 Purple Nails and Puppy Tails is suggested summer reading! Happy Memorial Day Weekend from me and from all of the boys and girls in Summer Love. PS. Don’t forget your sunscreen!